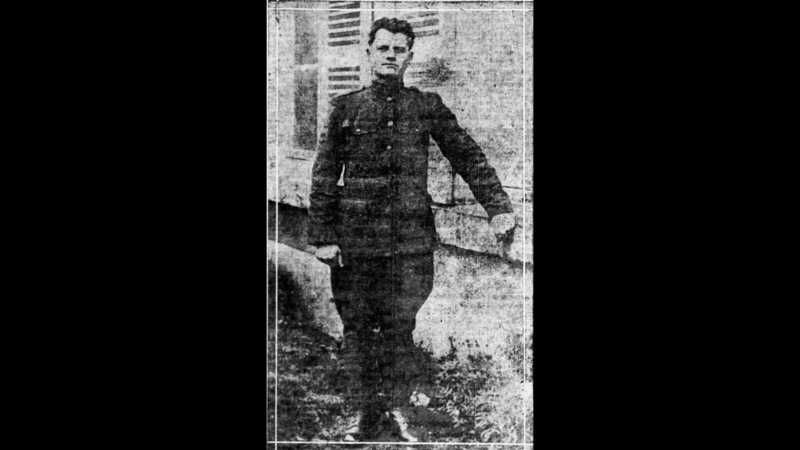 Casimir Mazurek, a 26-year-old decorated World War veteran, was shot dead by Lackawanna Steel Company police during the Great Steel Strike of 1919. The U.S. born citizen of Polish descent had been working at the steel plant for two months since his return from France, where had served throughout the war with the 2nd Division. On September 23, 3,000 strikers assembled at Three Gate. Exactly what followed was never officially determined, but accounts agree that after several strikers began to throw stones, company police fired shots into the crowd of men, women, and children, instantly killing Mazurek. His funeral procession of 10,000 mourners, the largest in Lackawanna history, extended more than a mile down Ridge Road to Holy Cross Cemetery. No serious investigation ever took place into the death of Mazurek, shown here in his only known surviving photograph, published by the Buffalo Times. His martyrdom for the failed strike is marked only by a cemetery stone.